The cultural phenomenon of the midnight movie is alive and well at the Roxy Cinema. It began on television in the 1950’s, where films that were a little too dingy or deplorable for prime time viewers were aired by the likes of the mistress Vampira for the eyes of buffs and insomniacs. During the 1970’s, theaters around New York and other metropolitan areas paid homage to the old original B-films such as the classic Freaks, a 1932 horror film about murder among performers in a circus freak show that maintains a potent cultural influence (Fun fact – the fourth season American Horror Story tapped the film as its main inspiration, as did Katherine Dunne’s popular novel Geek Love). First-run films too enjoyed the marginalization of midnight movie, The Rocky Horror Picture Show being its most worthy champion. The film flailed in the mainstream box office but found its adoring niche in the subculture formed around the ritualistic tenor of late night screenings. Henceforth the word “cult” became associated with the brand of fodder too offbeat for mainstream cinema-goers but cherished among freaks, film nerds, and the raucously intoxicated. A B-grade at the box office does not necessarily imply a lack of prestige however. Such notable filmmakers as Alejandro Jodorowski, with his Hermetic discourses in films like El Topo and the Holy Mountain, first found their grasp in the midnight temple. Even Stanley Kubrick’s A Clockwork Orange’s X-rating made it anathema to the godly hours. The entire Blacksploitation genre, a seminal influence on the work of filmmakers like Quentin Tarantino, was also a favorite of the midnight devotees. This month Roxy Cinema screens Kill Bill Volume One and Volume Two on consecutive midnights of March 17th and 18th. The ‘King of the Midnight Movie’ would indisputably have to be John Waters. 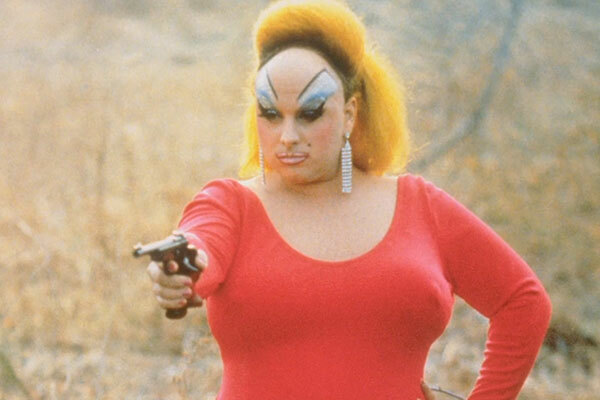 His unabashed portrayals of the farthest expanses of trash (in short, everything disdained by mainstream society) earned him the moniker “The Prince of Puke.” In fact, Pink Flamingos may be the quintessential midnight movie. The depths of its depravity even made it unsuitable for video distribution in the 80’s and 90’s. One of Waters’ earliest and most praised endeavors, Multiple Maniacs, will enjoy a midnight screening on March 31st. For a full cinema schedule visit www.roxycinemtribeca.com. For general enquiries, please call 212.519.6820 or email info@gl-microsites-prod.kingandpartners.com/roxy-cinema.